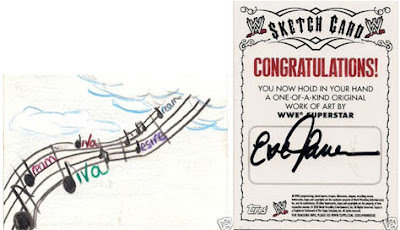 Voice of the Collector: First WWE Sketch Card Hits eBay!!! The all new 2009 Topps WWE product released recently and the first 1-of-1 sketch card has hit the market. This one by none other than super-hot WWE Diva Eve Torres. You can see the auction listing here. Um....yeah..... I think I need to change my pants. This article really impressive for me..